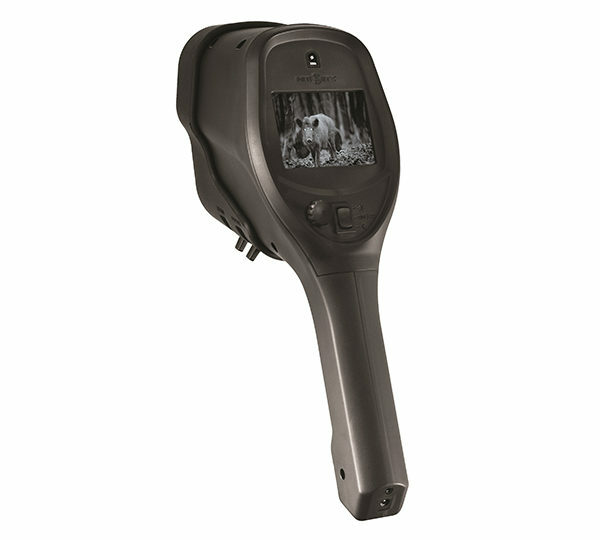 The Nocturna Spotter Handheld Infrared Night Vision Camera – 500m Range can be used to see objects in the dark. It has a range of up to 500m and a 25° field of view. It also features a 20x optical zoom; in addition to this the Nocturna Spotter Handheld Infrared Night Vision Camera can provide the user with clear infrared imaging (IR frequency 850nM) and to this end includes five integral infrared LEDs. The Nocturna Spotter Handheld Infrared Night Vision Camera does not require ambient lighting to remain effective and has a rugged, water-resistant design. These features ensure that the Nocturna Spotter Handheld Infrared Night Vision Camera remains functional in a variety of challenging environments. Its robust physical design and extensive imaging capabilities make this night vision camera particularly well suited to personal security and home security applications, as well as search and rescue operations. In addition to its ruggedness, the Nocturna Spotter is also lightweight and is designed to be comfortable to hold; it can be easily utilised by search and rescue operatives to extend missions into the dark, especially as its rechargeable 3.5Ah battery is able to provide up to 20 hours of power from a single charge. Finally, the black casing of the Nocturna Spotter Handheld Infrared Night Vision Camera ensures that it can be used covertly. This feature may be of particular interest to wildlife enthusiasts who may utilise the Nocturna Spotter as a surveillance camera allowing the user to view flora and fauna which may otherwise be covered in darkness. The Nocturna Spotter Handheld Infrared Night Vision Camera – 500m Range is a practical, portable instrument with extensive imaging capabilities. It is ideal for security, protection and surveillance applications.